Dense urban housing continues to sprout up on small downtown sites. 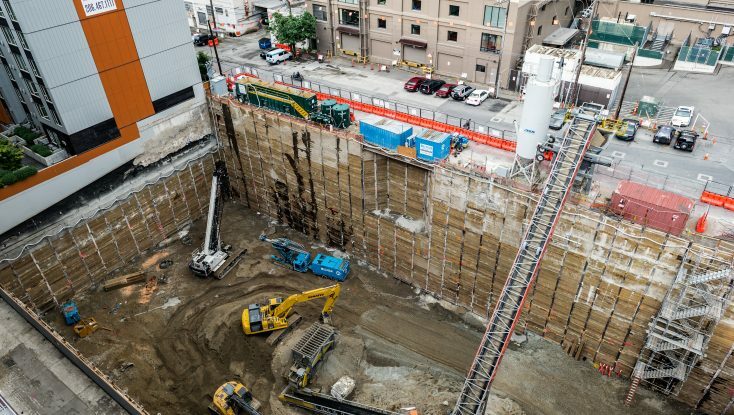 Holland Development Partners partnered with NASH, a Japanese developer, on the 970 Denny project – a 400′ tower on the corner of Denny Way and Terry Ave in South Lake Union. 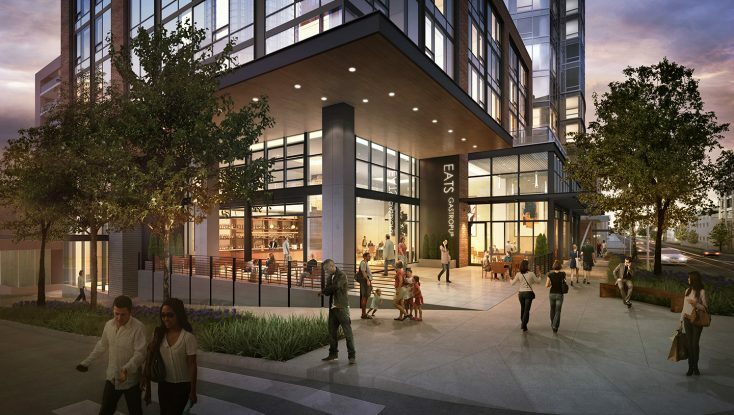 The building will provide 447,500 SF of residential space in 457 units and 16,900 SF of groundfloor retail with 341 stalls of below grade parking on a 0.65 acre site. NASH has requested that their sustainability program – 5 Trees – be incorporated into the project. 5 Trees is a sustainability philosophy about people and their relationship to the natural environment – which is based on five core values – Amenity, Aesthetics, Ecology, Future Generations, and Community. 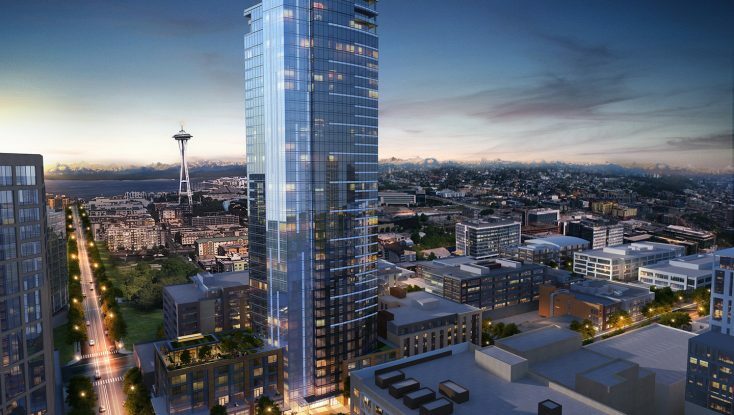 The project is also required by the City of Seattle as a condition of their permit to achieve a minimum of LEED Gold certification. ArchEcology came onboard to help the team develop a suite of sustainable strategies that would best achieve the many goals of the project. Given that residential projects are high energy and water users, the project team decided to start by utilizing conceptual stage energy modeling by ArchEcology to develop a holistic approach that identifies key performance metrics across a variety of building systems. Once the building envelope and MEP systems are optimized, the project team will continue to look at the building’s energy consumption during building occupancy and determine the best way to make energy use reductions long after the building has been constructed. Concurrently, the project team is looking at the project’s water consumption from the base site all the way to the roof to reduce the amount of stormwater leaving the site and lower the amount of potable water the project will consume on a daily basis. Stay tuned to see how the project and its sustainable program evolves. Project is being designed by Weber Thompson and constructed by Holland Construction.